An allegation of child abuse, per se, is not the only scenario that may lead to fourth-degree criminal child abuse charges because New Jersey’s criminal laws include abandonment, cruelty, and neglect as separate and distinct grounds to charge a parent with fourth-degree criminal child abuse. As with all investigations by the Division of Child Protection and Permanency (“DCP&P”), formerly known as the Division of Youth and Family Services (“DYFS”), if the Division responds to an allegation of child abuse or neglect and the situation is severe, DCP&P will probably call the local police department or County Prosecutor to initiate a criminal investigation. If you are charged with fourth-degree child abuse due to abandonment, cruelty, or neglect, you should contact the knowledgeable child abuse and neglect lawyers at the Tormey Law Firm. 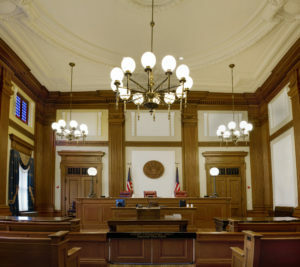 Our attorneys handle DYFS matters throughout Bergen County including in Paramus, Lodi, Lyndhurst, and North Arlington. Contact our offices now for immediate assistance at (908)-356-6900. The initial consultation is always provided free of charge. Under New Jersey’s criminal child abuse laws, any parent, guardian, or person having the care, custody or control of any child, who shall abuse, abandon, be cruel to or neglectful of any child shall be deemed to be guilty of a crime of the fourth degree. N.J.S.A. 9:6-3. The criminal child abuse statute further establishes that “abandonment of a child shall consist in any of the following acts by anyone having the custody or control of the child: (a) willfully forsaking a child; (b) failing to care for and keep the control and custody of a child so that the child shall be exposed to physical or moral risk without proper and sufficient protection; (c) failing to care for and keep the control and custody of a child so that the child shall be liable to be supported and maintained at the expense of the public, or by child caring societies or private persons not legally chargeable with its or their care, custody and control. N.J.S.A. 9:6-1. The criminal child abuse law further sets forth that “cruelty to a child shall consist in any of the following acts: (a) inflicting unnecessarily severe corporal punishment upon a child; (b) inflicting upon a child unnecessary suffering or pain, either mental or physical; (c) habitually tormenting, vexing or afflicting a child; (d) any willful act of omission or commission whereby unnecessary pain and suffering, whether mental or physical, is caused or permitted to be inflicted on a child; (e) or exposing a child to unnecessary hardship, fatigue or mental or physical strains that may tend to injure the health or physical or moral well-being of such child.” N.J.S.A. 9:6-1. Finally, the criminal child abuse statute enumerates that “neglect of a child shall consist in any of the following acts, by anyone having the custody or control of the child: (a) willfully failing to provide proper and sufficient food, clothing, maintenance, regular school education as required by law, medical attendance or surgical treatment, and a clean and proper home, or (b) failure to do or permit to be done any act necessary for the child’s physical or moral well-being. Neglect also means the continued inappropriate placement of a child in an institution, as defined in N.J.S.A. 9:6-8.21, with the knowledge that the placement has resulted and may continue to result in harm to the child’s mental or physical well-being. N.J.S.A. 9:6-1. Regardless of the nature of the allegation of child abuse, whether it be abandonment, cruelty, or neglect, the bottom line is that the criminal laws treat any of those acts in the same manner: as a fourth degree crime. Whether you have been charged with the crime of child abuse due to abandonment, cruelty, or neglect, the experienced DCP&P defense attorneys at the Tormey Law Firm are available to discuss your case today, (908)-356-6900.